Kelvin Taketa leads one of the largest community foundations in the country. Last year, the Foundation administered $30 million in grants and contracts to the community. Learn how to create a successful career in non profit leadership and how entrepreneurial this sector is. Kelvin H. Taketa is president and chief executive officer of the Hawai‘i Community Foundation (HCF)—a statewide, charitable services and grant making institution endowed with contributions from many donors. Since his appointment in 1998, HCF has redefined its focus: becoming a leader in facilitating charitable investments in Hawai‘i, and not just at the Foundation; serving as a resource on community and philanthropic issues; and building partnerships and grant making programs that have demonstrable impact for the community. Last year, the Foundation administered $30 million in grants and contracts to the community a 70 percent increase over the past five years. In addition, the Foundation has earned national recognition for its substantive commitment to building the leadership and organizational capacity of the nonprofit sector. Taketa has dedicated more than 25 years of his professional career in the nonprofit sector. Prior to joining HCF, he served as the vice president and executive director for the Asia/Pacific Region of The Nature Conservancy, the largest conservation nonprofit organization in the United States. 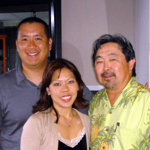 Taketa has served on numerous business and nonprofit boards including his current service on Hawaiian Electric Industries, Hawaiian Electric Company, Grove Farm Co., Inc. and founder/president of Sunrise Capital, Inc. He is also on the board of Civic Ventures—an organization that expands the social contribution of older Americans. Born and raised in Hawai‘i, Taketa graduated from Colorado College and received his Juris Doctor degree from the University of California’s Hastings College of Law.